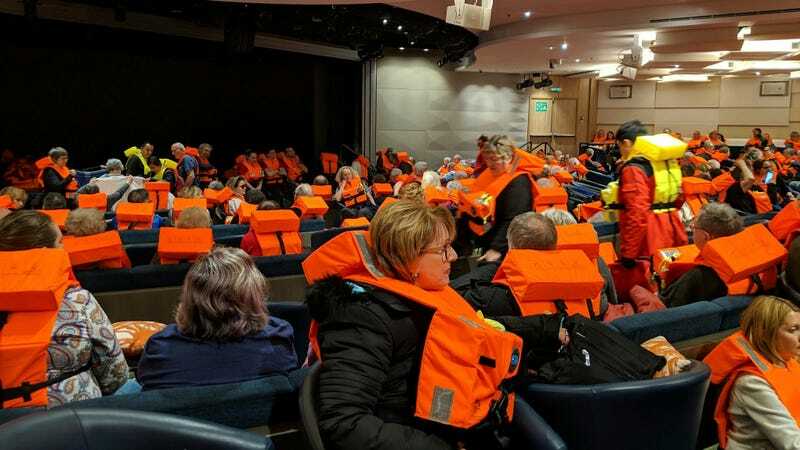 A cruise ship carrying 1,300 people has reached the Norwegian coast after engine trouble and bad weather left the boat and its passengers stranded at sea for almost 24 hours. It’s not clear what caused the engine trouble in the first place, but while the ship was still stranded, five rescue helicopters attempting to evacuate passengers in the middle of the night faced bad weather and rough waters, making the evacuation “harrowing” for the airlifted passengers. Winds gusting at as much as 46 mph and 26-foot waves rocked the ship, shattering glass while sending furniture and passengers sliding across the the floor. A spokesperson for Viking Cruises says that 20 passengers sustained injuries, including broken bones. Other passengers reported seeing people removed from the cruise ship on stretchers. The ship left Bergen, Norway on March 14 and was supposed to arrive in Tilbury, on the River Thames in southeastern England on March 26. Viking Cruises says the passengers who were airlifted are now set to fly home from Molde, with the first leaving today.